Ahead of the soccer game, there was another small sign of change: the country’s first car showroom dedicated to female customers was opened. Men and women seated together in the families section cheered. 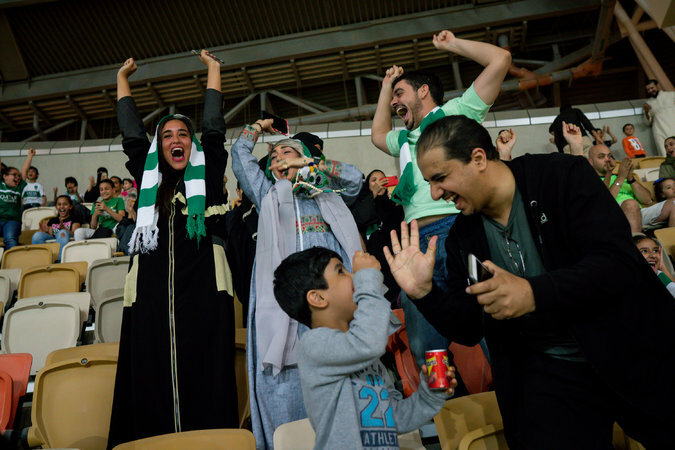 But for the soccer game, a former Saudi sports journalist shared a photo of female ushers preparing to greet the female fans and their families. Women cheered as an announcer read the names of the players, and as the teams faced off.